Cashmere's historic lumber mill district is now ready for redevelopment thanks to cleanup efforts. The old sawmill in Cashmere once pulsed with activity 50 years ago. Now new life is breathed into the community thanks to cleanup and redevelopment. Today, the Port of Chelan County is celebrating added commerce and jobs. The city of Cashmere’s Mill District has a long and varied history that began in the 1940s. Processes at the lumber mill and other activities left a legacy of contamination that impacted soil and groundwater. In all, 26,000 tons of wood waste and contaminated soil was removed, overseen by our toxic cleanup program staff and funded by Ecology grants. The Port of Chelan County is marking the construction of two 17,000-square-foot buildings that will support the expansion of local business as well as new employers. This project shows what success can come when you have the right ingredients -- grant funding, dedicated staff, and collaboration! Cashmere now has a real vitality with added commerce and jobs, setting them up for long-term success. The Cashmere Mill District is prominently located along Sunset Highway, highly visible to traffic and the local community of Cashmere in Chelan County. From the 1940s to the late 1970s, the Cashmere Mill Property was primarily lumber milling, while the 1980s and 1990s saw various commercial and light industrial activity. 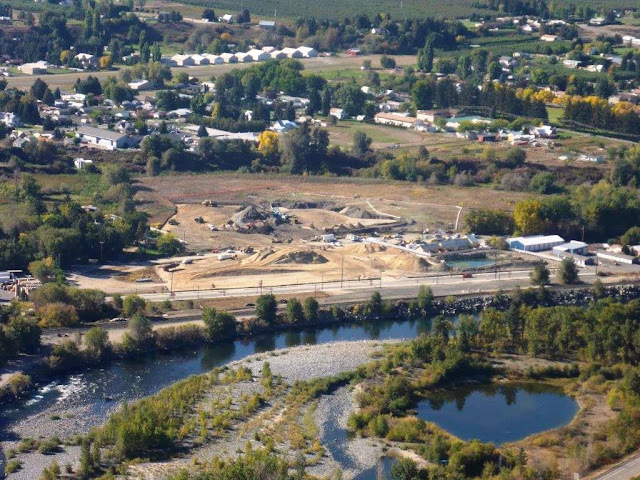 The Port of Chelan County had a vision and in 2008, purchased the 32.5-acre property. 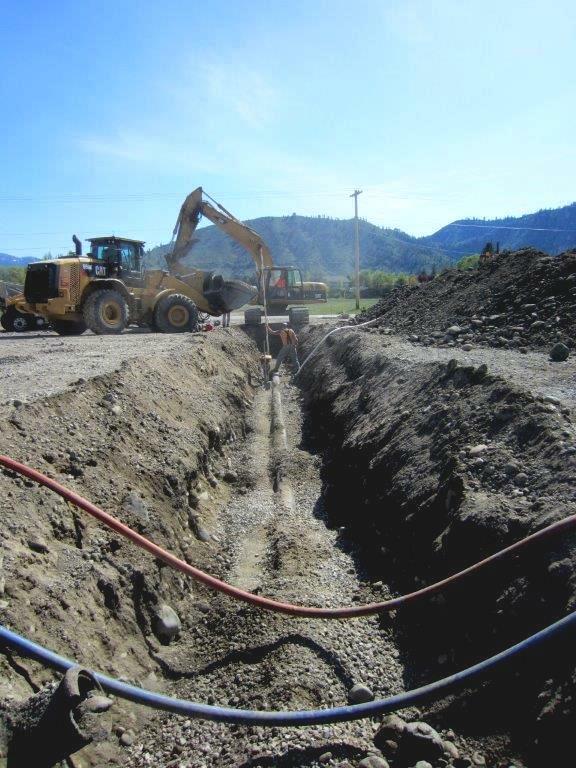 Their goal was to remove the existing contamination and wood waste, and turn it into a thriving industrial property that would support the revitalization of the city of Cashmere. The greatly improved environmental and infrastructure conditions allowed for the eventual development into the Cashmere Mill District, complete with water, sewer, electric and internet utilities. Major highway connections only a half-mile away give easy access to Seattle or Spokane. Port Commissioner JC Baldwin, said the future looks “very bright” for the old mill site. In fact, Louws Truss Company just opened a new manufacturing facility in Cashmere in June. Two flex buildings are planned for the future, and are generating interest from a variety of businesses. The Port of Chelan County also has the option to build an additional two more flex buildings, if necessary. Commissioner Baldwin expressed her excitement that the city, port, and Ecology were able to work together to rehabilitate this blighted property in her district. “This is what Port Districts do!” she said. Aerial view of the Cashmere Mill site during soil cleanup. 26,000 tons of wood waste and contaminated soil was removed.